What is the most critical stage of when buying an insurance agency? Is it obtaining financing? Is it finding the right agency to buy? Is it making sure your own books are in order? While there are indeed many important stages in the agency buying process, by far the most important stage is getting a proper valuation on the agency. Everything else hinges on this. Let’s explore why the valuation is so important and what should be considered to reach the right valuation. Why Is the Valuation So Important? Without a well-researched and comprehensive valuation, one or both parties with have difficulty reaching an agreeable price. Negotiations can drag out indefinitely, wasting your time and money. If an imbalance exists because of value disagreements, it becomes a shadow over all negotiations. One party may feel they are selling the agency that they worked to build for too little. As the buyer, you are naturally apprehensive about paying too much for that agency. A more synergistic 3rd party valuation can eliminate this tug-o-war for a more seamless agency acquisition process. With an objective agency valuation, both parties will know when the agreed upon price is right. The seller doesn’t feel that he/she has left money on the table. The buyer feels confident that he/she’s not sabotaged the future of the acquired agency or his/her own company by paying too much. Here’s how not to value an agency — three or four times earnings, 10 times profits or any other arbitrary numbers. These methods seem simple enough. It’s basic math. Numbers don’t lie but they do disregard the complexities of the insurance business. Many factors go into an agencies valuation. Some factors are easier to quantify than others. 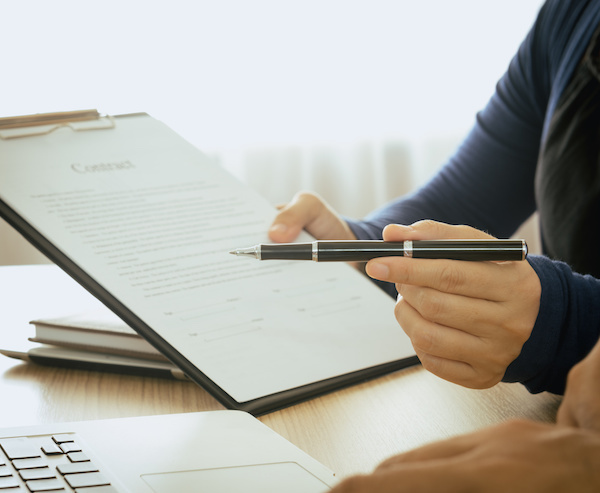 Some can be more elusive like the knowledge and skill of the acquired agency’s middle leadership or the pressure on the seller to sell because of a divorce settlement, health or nearing retirement. Here are the main things to look at to get a valuation. 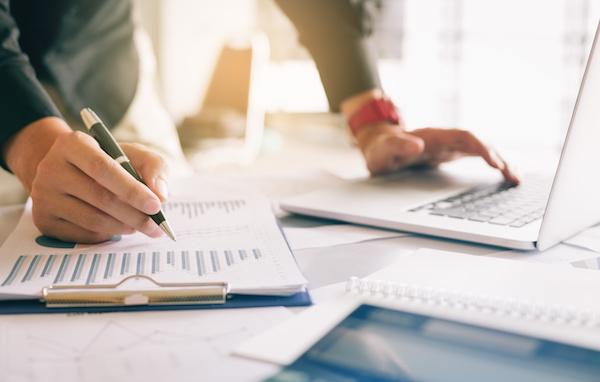 Obtaining an insurance agency valuation includes an in-depth look at the financial data both in the most recent year and year over year. The successes and failures of an insurance agency can be viewed through these financials. These help determine to health and future of this agency. We can now more clearly compare the agency’s standing to its peers during the same time periods and currently. How is this agency competing in the dynamic and ever-changing insurance marketplace? How are they adapting? Are they keeping pace with their peers or exceeding? During a qualitative attributes assessment, we’re looking at the human resources, systems, and technologies within the company? Are these quality assets to be acquired or will departments need complete overhauls due to outdated or mismanaged systems. The hiring process is obviously an arduous and expensive one. If the talent is already there, that’s of great value to you as a buyer. What was their five-year plan? What were the expectations in terms of revenues, marketing expansion, etc? We want to know not only where they are going but if those projections are well-founded. Each agency is unique. While a valuation endeavors to obtain the most objective valuation, we would do a disservice to both the seller and buyer if we didn’t consider any outlying or extenuating circumstances. These might include pending lawsuits, divorce settlements, niche specialties and other variables. Once we understand the above factors, we can begin comparing these agencies to similar agencies that have sold in similar circumstances. These “comps” give us a solid number to work with as we further refine that number based upon differentiating factors. Let’s talk about your plans to buy an insurance agency. We have the experience and skill to help you find the right agency and get the right valuation. We work with you every step of the way to ensure a seamless agency buying experience. It’s easy to get started and begin exploring your options. Contact us today. If you’re considering selling your insurance agency, there could be a number of reasons that prompted you to pursue this route—perhaps you’re ready to retire, or maybe you’ve simply decided to look into other endeavors that will benefit your professional being. In any event, there’s a lot to think about when you’ve made it this far. 1. Can You Answer the Five Main Questions? Who are you trying to sell your business to? Depending on the market structure and your particular desires, you might be interested in selling your insurance agency to a family member, friend, employee, or competitor. The answer to this question may dictate the steps you take moving forward. What are you selling? Will your book of business belong to the future owner? Perhaps you’ll be taking that with you or selling it to someone else. Are you selling stock along with your brand? This will cause a differential in cost. When you’re selling an insurance agency, you’re selling many components that come with the whole business. It’s important to consider the entirety of the puzzle. When are you selling? Ideally, this isn’t a last-minute decision. 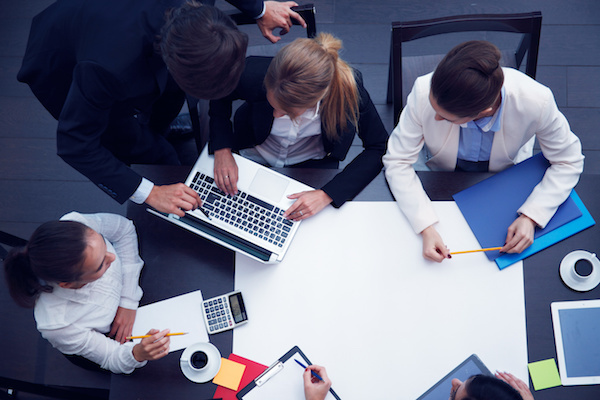 Proper sales take planning to procure the right situation. Where do you do business? Are you a single-shop firm with one location? Do you have multiple stores that will be affected? The answer to this question impacts your company’s overall value. Why are you selling? Are you losing money? Do you want to retire? Are you interested in pursuing other activities? There is no wrong answer, but the truth is important. 2. Do You Know How Much Your Business is Worth? Valuation is often a tough element to conquer. It’s not uncommon for business owners to think their businesses are worth more than the market demands. It’s important to realistically evaluate your income, expenses, profits, and losses before you decide to sell your insurance agency. In most cases, you won’t be able to evaluate your agency’s worth on your own. This is where valuation professionals shine. Through interviews and due diligence on your financials and the surrounding market, agency sellers will be able to determine your firm’s true value, ushering in new possibilities for higher sales when warranted. 3. Have You Defined Your Terms? You want to get the best possible scenario, which means you need to have your terms defined well before you begin to enter into a deal. In a perfect world, you’ll be presented with as much cash as possible upon the sale transaction, partnered with a fixed price that doesn’t leave room for market churn along the way. Of course, buyers want the complete opposite—they’re trying to put down as little as possible and pay over time, based on the percentage of premiums as they renew. This is seldom a battle that can be won alone. You need a team who understands the importance of assets, based on the retention of business, long before you come to final terms. Everything is negotiable, but it’s important to understand your company’s value before you bring your business to the table. It’s not uncommon for agency owners to stay onboard for a few years during the transitional phases to ensure everything is where it needs to be. If you’re not in a hurry to leave, consider staying on as a consulting partner (part-time or full-time) so you can see your sales transaction through. There are a lot of complicated details involved with the sale of insurance agencies, and it’s certainly not something you want to do without the assistance of skilled professionals by your side. Our team at Agency Brokerage Consultants are insurance agency merger and acquisition specialists. Our goal is to help you make the most of your sale so you can rest assured that you made the best possible move for you and your business. Reach out to one of our sell-side advisors so we can put you on the path to sales success! Why Use a Consultant to Manage Your Debt While Selling? Having any kind of debt while you’re in business can be a little nerve-wracking, even if the business is swinging from strength to strength. But it can be downright terrifying to manage if you’re in the middle of selling your agency. Part of handling this process should include asking for help from a consultant who specializes in agency sales. The right professional can make it possible to not only structure and rework your debt but also to alleviate the stress of combing through the numbers and answering countless questions about all incoming and outgoing funds. Whether you’re looking for capital or trying to work out a way to transfer your assets, a consultant can help you determine where you should be directing the money and how to make it happen in the middle of a sales transition. Part of why a consultant works so well in these types of chaotic situations is because they don’t have a personal connection to the agency. They can spot unnecessary expenses or overlooked opportunities that could kill two birds with one stone. Agency Brokerage Consultants has been servicing agencies for a long time, and we know that no one is immune from being too close to a problem. From owners to accountants, there’s usually more that can be done when it comes to managing debt. Managing debt is going to mean looking at the deficiency from every angle. It’s why a good consultant will take a systematic approach before recommending a solution. By starting with the basic financial information (e.g., monthly income, fixed expenses) before working their way down to salaries and trust account management, a clear picture can emerge about how the agency accepts and spends money. From paying down high-interest debt to consolidation strategies, the goal is always to ensure every cent is being spent or saved as wisely as possible. This will expedite the sales process while smoothing out any inefficiencies at the same time. Regardless of how much your agency is being sold for, you still don’t want to hurt your credit during the sales process. Agency Brokerage Consultants has worked with sellers under a number of different circumstances, which makes us a go-to resource to keep your credit as stellar as possible at every stage of the sales process. We know that a client who’s ready to retire will have very different financial needs than someone who’s getting ready to start their next venture. By customizing our strategies for each client, we make it possible for them to hand over their agency with full confidence to move onto whatever’s next! A buyer is going to want to work with a company whose finances are as straight-forward as possible. If they can’t figure out why money from trust accounts keeps getting mixed up with operating accounts, it’s a red flag that someone isn’t paying attention at the agency. Messy debt or discrepancies between projected and actual assets can make a buyer nervous enough to pull out of the deal at the last minute. Not only will this be a huge inconvenience to the seller, it can push back a seller’s timeline by months. To avoid this fate, Agency Brokerage Consultants makes it easy for buyers to understand how the money is being managed, who’s doing the work, and when the reporting happens. Agency Brokerage Consultants has seen insurance agencies fall into too many traps when it comes to buying and selling, which is why we’re a beacon in the darkness for clients in the middle of a sale. Calling us today is an excellent way to share the details of your debt and get answers to your specific questions. While we may not know your daily processes, we do understand insurance agencies on a global scale. We’re able to put that knowledge to work by anticipating the most common problems during a transition, and then actively working to prevent any potential confusion. Once you know you know you’re ready to sell the agency, you’re likely to have a lot of questions about what to do next. Keeping customer and employee morale up during this time period isn’t going to be easy to do, which can make managing the office a nightmare. There are ways to soften the blow and cushion the landing so that current business isn’t (as) affected by the sales process. It may take a little finesse and understanding, but it is entirely possible. Once you have a firm offer on the table, you should update your exit strategy. The more specific it is, the more likely it is that everything will be followed according to plan. 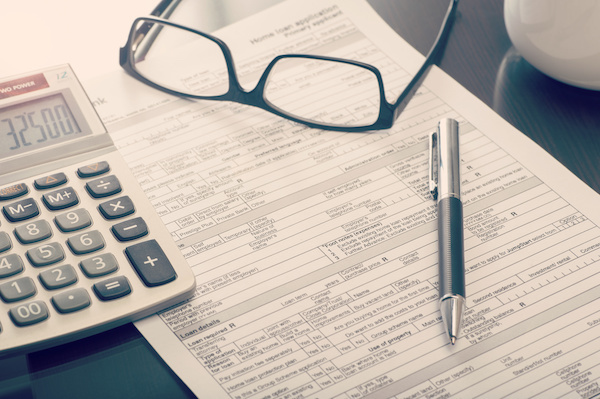 Even if you haven’t had an offer, you may want to start digging into the current document. Businesses can change a lot in even a few months, so there may be clauses or directions that are no longer relevant to how the company is structured now. This is also one of the best ways to preserve the company culture that you’ve no doubt worked so hard to build. The buyer obviously wants your company for a reason, so it’s important to stay true to your principles even as you get ready to start the next chapter of your life. A consultant won’t be able to solve all of an agency’s problems during a sale, but they can take care of thousands of tiny details that would otherwise fall on an owner and their staff. Even one mistake can kill a deal or land an owner in a lengthy litigation case that could have easily be avoided. Agency Brokerage Consultants has handled countless agency sales, and we’ve seen how often owners falter under the weight of trying to keep their business going in the middle of the sale. Let us step in to give advice, handle financial questions, and square away personnel matters. We offer a fresh eye and unbiased opinions — both of which are invaluable during an emotional transition. We oversee it all so you can concentrate right up to the moment the ink has finally dried. The goal of any organization is to grow. When you’ve done everything you can do to grow your business internally, sometimes, it’s time to look for opportunities outside of your own organization. 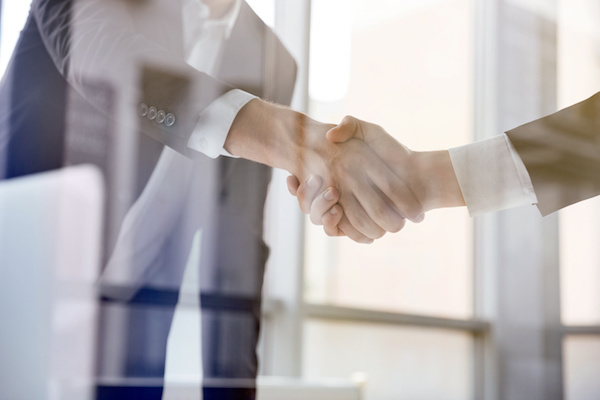 In the insurance industry, acquisitions can be quite lucrative but only if you do your due diligence and know what you’re getting into before you pursue the process in its entirety. Of course, you may just be starting out in the industry, looking for a way to get your feet wet by jumping right in. In any case, it may be the right time to buy an insurance agency, but the idea isn’t something to be taken lightly. 1. Why is the Seller Selling? There are plenty of reasons a fruitful owner may be looking to sell; perhaps he or she is moving out of state or ready to retire. In these cases, you may be set up for success with a thriving business. On the other hand, if the agency has been losing money for many years, it may not be worth your time, energy, and money. Of course, some people simply aren’t cut out to be business people, and it’s possible you could turn around an in-the-red business, but it’s best to know the seller’s motivation before you delve deeper into the process. 2. What is the True Value of the Agency? When you examine the big picture, you’ll have a better understanding as to whether this deal is right for you or not. 3. What Kind of Insurance Does the Agency Specialize In? Some agencies don’t specialize in anything and are more of a one-size-fits-all type of insurer. Others are quite specialized, offering boutique services for certain areas. Reconcile your own skills and goals against those already established by the agency you’re considering pursuing. Will you be bored if all your clients are purchasing life insurance? Are you specialized in a certain type of homeowner’s insurance that’s uniquely relevant to certain parts of the country? If boating insurance is your passion, an agency in Kansas probably won’t fulfill your desires. It’s important to understand what you do well, what you want to do in the future, and what the agency you’re pursuing has already established. In an ideal world, you’ll hit the ground running in an agency that already does what you do best. 4. How Will You Finance Your Purchase? Unless you have cash on the table, you’ll probably be seeking a business loan. In most cases, commercial loans are pretty standard, but in the insurance industry, they can be harder to obtain because many banks will not lend against the in-force book of business insurance agencies hold. This obstacle can make it difficult to finance your purchase. Seek the assistance of a firm that specializes in agency financing to set yourself up for success. 5. How Can You Make this Transition Easiest for Employees? You don’t want great people to leave you because they’re scared of change. It’s a natural reaction, but it can be diluted with proper communication. Get to know the people who work for the agency now; understand their strengths, weaknesses, and fears, and communicate your plans throughout the process. Communication is a great way to stave off fear and start your new business right—with seasoned team members. If you’ve already decided to sell your insurance agency, you should have at least a few questions on your mind. Maybe you saw some of the pitfalls when you were buying the agency and want to avoid them, or maybe you’re just not sure of where to even start. The truth of the matter is that you already know your business backward and forwards, but that doesn’t always make you qualified to sell your agency (if the hope is to get the best possible deal.) Use these tips to move forward with a little more confidence. It’s not going to be easy to sell your agency no matter what circumstances you’re facing. If your agency is incredibly successful, you’re going to need to find a way to bring the big bidders to the table. But you’ll also need to find a way to make their desire work for your bottom line. This is often easier said than done because you’re trying to strike a very delicate balance without alienating anyone. If your agency is performing well but not spectacularly, you’re going to need to find buyers who can spot the potential of the business to boost them to the next level. It takes negotiation as well as inside knowledge to come to terms that everyone’s happy with. Any potential buyer is going to want to check out the financial situation of the agency thoroughly. The due diligence process is designed to ensure they have the right numbers before taking over the agency, so there are no liability surprises later on. 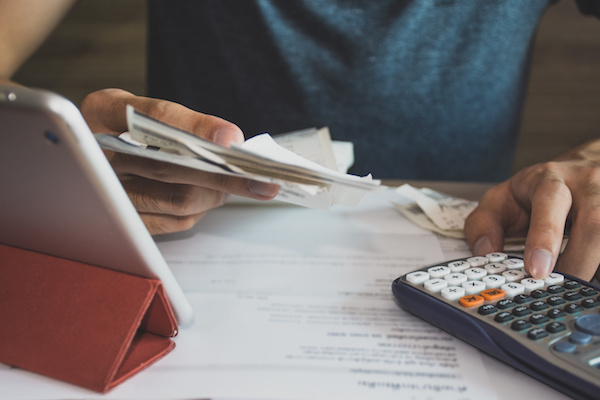 From the state of your trust accounts to the way your taxes were filed, any mistake or discrepancy could make them want to back out of the deal. There are also compliance regulations you’ll need to meet when it comes to the offered price. Your exit strategy must thoroughly address the financials to get the best possible net worth of the agency. The clearer all of your numbers are, the more likely it is that lenders and buyers alike will trust your next move. The real market value of your agency isn’t what the assessor says it’s worth and it’s not what you say it’s worth. The more research you do, the more you’ll be prepared when it comes to evaluating your offers. You may even be able to do a few last-minute adjustments to make the agency that much more attractive to various buyers. The new year promises to hold a lot of opportunity for sellers. The trends point to growth for a number of different kinds of insurance, and while there is some failure, the overall forecast looks great. You can absolutely use this to your advantage during negotiations. Enticing the right buyers won’t be simple, but it will be worth it. This is often one of the most difficult things for owners to do, but it’s necessary if you’re looking to sell the agency. No matter the reason is for selling the agency, it can be a traumatic feeling to part with it Maybe you want to spend more time relaxing or maybe you know there’s another business opportunity that’s better suited for you. But that doesn’t mean you want to abandon your staff and your clients to a heartless buyer who will destroy what you worked for. Regardless of why you’re selling though, these emotions may get in the way of your goals. Too much attachment and you may end up making unrealistic demands from buyers. This is probably the best tip you’ll get if you’re looking to sell your agency, if only because you probably don’t have a lot of time to devote to the sales process. An intermediary’s job is to bundle up all of the good things about your company and to smooth out any questionable areas of your business, but they do so much more than this. It’s the specialized knowledge they’ve acquired that really can’t be taught without experience. It’s their attention to detail and entirely unbiased opinion that makes them so valuable when it comes to selling an agency. Insurance agencies are often required to have active trust accounts as a means of separating and organizing any incoming funds. They’re used to prove to auditors that an agency has been paying agents and carriers appropriately out of the premium payments collected from their customers. But it’s not uncommon for insurance agencies to relax their rules on trust accounts, neglect them, or to discount their importance entirely. 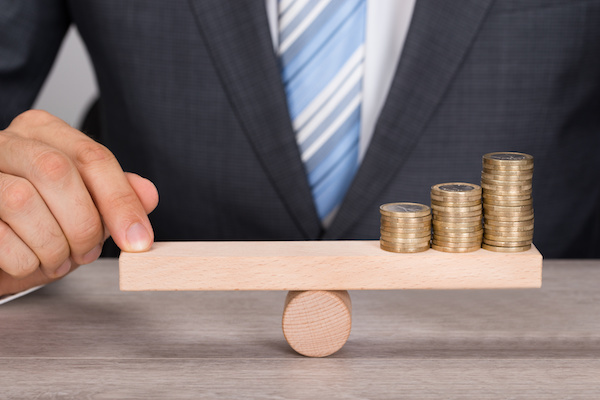 See how trust accounts should function in an agency and how they can benefit the agency — especially if you’re thinking of buying or selling anytime soon. Payments and remittances are staples of an insurance agency, but they have a tendency to spin out of control fairly quickly. An agency owner is supposed to treat premium payments as though they were the caretaker of the funds as opposed to the owner. By having a trust account for premiums and return premiums, agencies have the ability to keep their premium funds safe from creditors. It also ensures that there’s no mistaking the operating accounts from the trust accounts, and it gives agency owners more controls on the funds. 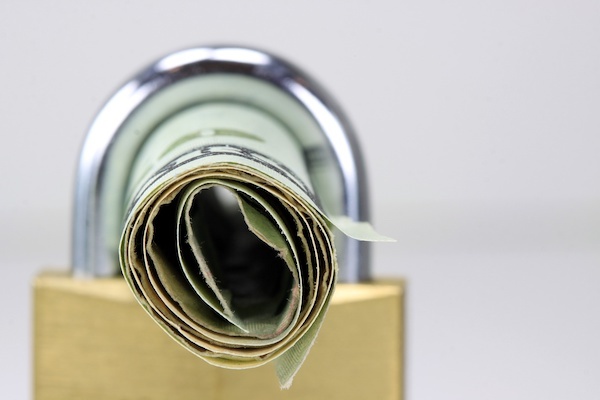 When no one can take any money out of the trust account without the right documentation, it creates the paper trail the agency will need to stay above water during an audit. It will also impress and alleviate transparency fears if in the process of buying an agency or selling your current one. An agency makes their money from numerous clients, all paying premiums at different times and in varying increments. Invoicing not only takes a lot of time, it’s also a breeding ground for employees and customers to make mistakes. Any delinquencies on the accounts will require time-consuming follow-up. The longer the delinquencies go on, the more out of control the trust account will become. This is usually where agencies get into trouble when they’re dealing with a trust account. Decision-makers are unsure of how much commission has been technically earned — they’re only concerned straight operation costs. If commission funds are constantly being changed from the trust account to the operating account, the agency has a major problem on their hands. Trust account management to people who aren’t familiar with principles behind it will often look extraordinarily fussy. The amount of detail and precision may even seem like a waste of time. But considering funds are supposed to be tracked at the policy level, agencies can’t afford to take any chances. The balance of the trust account is supposed to be at or above the level of the net premium, or else the agency may be declared insolvent. If one premium payment accidentally gets used to settle another premium from a different carrier, agencies will be liable for these mistakes eventually. An agency that’s ready to make some major moves has to have their finances in order before they even consider courting buyers or wooing sellers. Whether acquiring or relinquishing, clean financial records will make the due diligence process much easier for everyone involved. Having an intermediary to help you either buy or sell can be the best way to get the advice and help you need to get your trust accounts back to a manageable level. Better trust account management is also one of the best ways to ensure that money is being collected and spent as wisely as possible. If you’ve been thinking about selling your insurance agency, it may not make much sense to do so with the holidays quickly approaching. You’ll garner much more interest (and better offers) if you choose to wait until 2018. The first quarter is not only the time for you to make your own resolutions when it comes to your business, it’s a time when other decision-makers are interested in making a big splash in the new year too. 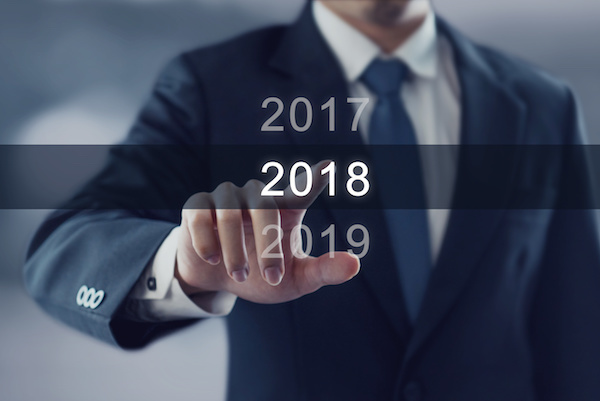 See why 2018 will be a great time to sell, and how you can approach the sale with the right attitude and assistance to maximize your profits. If the thought of your agency gives you anxiety as opposed to excitement, then 2018 may be the best time to jump into something different. Your clients deserve the best, and a new owner can be the key to delivering the service and attention they need. Maybe you’re still eager to make your mark in the business world, but insurance simply isn’t the gig for you anymore. If employee or client disputes or demands are being ignored or your heart just isn’t in it, then making the resolution to sell is a proactive measure you can take to avoid having to watch your agency descent into chaos. Your agency is a business that you’ve likely put a lot of time and effort into, but what happens when it’s time to take a little breather from the hustle and grind? Don’t wait until you’re so sick of dealing with the questions, fires, and hassles of agency life because you’ll end up selling the agency to the lowest bidder just to be free of it all. If you’ve been considering getting rid of your agency for a while, pulling the trigger in 2018 is a smart way to give yourself some extra time before you hit your breaking point. Experts say that the more time you give yourself, the less likely you are to face common problems that arise during a sale. If you’re already feeling exhausted by your job, it’s not likely to get easier with time. This is one of the biggest factors that sellers have to think about before they even consider letting their intentions to sell go public. When it comes to forecasts for 2018, the trends are thankfully in your favor. While it’s true that certain types of insurance have outperformed others in recent years, the ups and downs are still pointing toward an upward trend. The new year is expected to see businesses gain a tighter control on their operations in order to take advantage of the growth potential. This means that leaders will be looking for ways to expand their client base without compromising their own profits in the transition. It’s important that sellers give potential buyers a simple way to facilitate the transfer, so they can hit the ground running after the ink on the final paperwork is dry. Using the right intermediary to sell your agency in 2018 is going to be worth its weight in gold for agency owners who are ready to move on. Intermediaries may not have specialized knowledge about your particular company, but they have specialized knowledge about what it takes to sell an agency. Too many owners settle for a number they would never have even considered when they first started their business. They do so because the sales process is incredibly time-consuming, and they didn’t realize just how much work they would need to do to finally settle on a buyer. From valuations to sale terms to the final paperwork, intermediaries find ways to streamline the many tasks ahead so agency owners can focus on what you want to see from the sale. An intermediary will consider far more than just the financials of the transaction, but your own personal wishes as well. For example, if you want certain staff to stay on after you leave or you want clients treated a specific way, an intermediary will do the due diligence necessary on the potential buyers before moving forward. This way, you can give your agency up without any regret. According to Forbes, only about 50% of businesses survive past year five. There are many reasons for this staggering failure rate. But regardless of the cause, it makes lenders skittish about lending to startups or people buying an existing business like an insurance agency. SBA loans are loans that are designed to expand the opportunities for entrepreneurs who may not otherwise be able to get funding. In most cases, those 50% of businesses who do succeed wouldn’t even have the opportunity to do so without the SBA. An SBA loan doesn’t come from the SBA directly. Rather it’s a guarantee from the SBA that if you default, they’ll pay back part of the loan. This shared risk makes lending to you more appealing to banks and other institutions. Because of this, you can get better terms, lower payments, longer payback windows and higher amounts than those for which you might otherwise qualify. Let’s look at how it works. Micro-loans (under $50 thousand) in addition to larger loans are available. The SBA.gov website includes many helpful resources that will help you understand what type of loan is right for you. To consider if you qualify, you should first evaluate what your needs are to determine for which type of loan you should apply. Each loan type will have its own qualifications that will help address the unique situation. In addition to meeting SBA requirements, you will also need to demonstrate your creditworthiness to the lender. They will be looking at your financials and may also evaluate what you intend to buy to ensure you’re a good credit risk. The SBA and your lender will also want to know that you have “skin in the game.” Many loans, but not all, will require that you’re putting a percentage into your business venture. The SBA recommends that you consider the following when applying for an SBA loan to buy an existing business like an insurance agency. Take a close look your financials and the books of the business you’re purchasing. Use this information to determine a reasonable amount to pay for the business. Evaluate how much it will cost to manage the business to be certain that this is a smart investment for you. The SBA encourages you to be honest with yourself about whether you have the in-house skills to manage this business. If you don’t, how will you acquire these skills in order to run a successful agency? Or should you be buying this specific agency? Maybe another would be a better fit. Finally, they urge you to make sure you know what you’re buying. What infrastructure is in place? What liabilities, technologies, cash flow, patents, contracts, etc. come along with the deal? Consider everything to make a smart buy decision. You will complete the application process with the SBA. The documents required will be a little different depending on which loan you apply for. They’ll walk you through the process step-by-step. It’s also important to discuss the consequences of defaulting on an SBA loan. There are some pros and cons getting an SBA loan. They do make it easier to get funding but if you default, you now have both the bank and the US government contacting you regarding your unpaid debt. If you don’t pay back your loan, the bank can legally require you to shut down and liquidate assets to pay back the loan. After this, the loan will be handed back over to the SBA. You will have an opportunity to settle with them, but if you continue to default, they do have the power to garnish wages, without tax refunds, etc. This is why it’s so important to work with someone who understands the mergers and acquisitions process. We’ll help you evaluate agency purchase decisions and negotiate the right price so that you’re set up for success in your agency buying and management ventures. Why do so many insurance agency acquisitions fail? In many cases, it comes down to not finding the right buyer. You’ve invested your time and life into building your agency. When it’s time to sell your agency, you need to know how to find a buyer for your insurance agency and close the deal. Let’s take a look at how to do just that. Before beginning the hunt for a potential buyer, you should make sure you know the real value of your agency in the current market. Generalized valuations like multiples of revenues may help you in your day-to-day. But when it’s time to make a major move like selling an agency, you need to make sure you get what it’s really worth and avoid letting it sit too long on that market. This can be detrimental for agencies as you’ll see in the next section. How do you sell something without letting people know it’s for sale? It seems quite a dilemma. When you put your agency on the market in a public way, the feeding frenzy begins. I’m not talking about agency buyers. I’m talking about your competition. When your competition sees that you’re selling your agency, they can leverage this bit of information to mislead your clients. They can twist the facts to make it look like your agency is struggling and looking for a bailout. This could be the furthest thing from the truth and could harm the value of your agency in the marketplace. Because of this, discreetly reaching buyers is the way to find the right a buyer. We’ll talk a bit more about how to do this a little later. When you’re looking for potential buyers, watch out for tire kickers. These buyers have no real means and/or desire to buy your agency. You can spend 100’s of hours preparing reports, scheduling meetings and otherwise wasting your time and money. Many people may approach you interested in your agency but these individuals have no real way of funding the acquisition. They have no cash on hand and don’t qualify for loans. Evaluate the creditworthiness of buyers before you get in too deep when looking for insurance agency buyers. These entities will often demand a lot up of attention up front and then after months, they finally make an offer. It’s well below what you know your agency is worth. Some agency’s sell because they’ve invested so much time and money into the deal but this is a costly mistake. You’ve worked hard to build your agency. You have people who’ve been with you from the start. Just because you’re ready to sell doesn’t mean you’re willing to throw your trusted teams to the sharks. Know to whom you’re selling. Vet them thoroughly. Review their track record. Understand their intentions. You don’t have to settle for someone who’s going to dismantle and destroy what you’ve built. You also want to know that a potential buyer understands what they’re buying. No one knows better than you that every niche, region and demographic is different. Someone who’s successful in commercial health insurance in Tampa may not have a clue about Medicare Part D in Phoenix. Ask questions and get an idea about the experience within the organization. What kind of strategies do they have in place to fill in any knowledge gaps? Do they seem to have at least a high-level understanding of your niche? Selling your agency can be a relatively quick and seamless experience or it can be long and drawn out, costing you thousands or more. The reason so many acquisitions fail is because while the seller is orchestrating the sale, they’re letting operations suffer. It’s not intentional. It just becomes hard to be in two places at once. You do enough of that already. When operations suffer, deals may fall through at the last minute because of a change in enrollment, expenses, staffing or revenues that happened in the interim. When this happens, agencies go back to square one. A Mergers and Acquisitions broker can help you quickly and discreetly find the buyer who’s right for your agency. We do all of the screening and negotiating for you so you can continue to focus on running your agency. We protect your confidentiality so that you can smoothly transition your agency to a new owner. If you want to know how to find a buyer for your agency, give us a call.